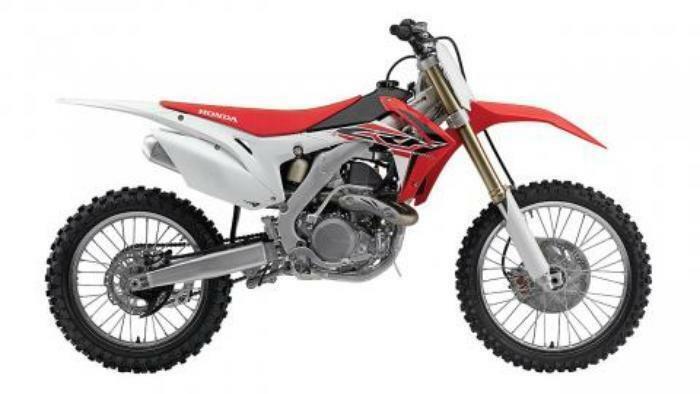 American Honda Motor Company of Torrance, Calif., is recalling about 5,700 motocross off-road motorcycles. The transmission gear can break, posing crash and injury hazards. This recall involves all model year 2015 and 2016 Honda CRF450R motocross off-road motorcycles with 450cc, 4-cycle engines. The motorcycles are red, black and white and have “Honda” and “CRF450R” printed on both sides. The model year is printed on a label located at the front right top of the frame, near the steering head. Vehicle identification numbers (VIN) ending in 7FK400015 through 6FK403360, for the 2015 model, and 36GK500009 through 1GK502993, for the 2016 model, are included in this recall. The VIN is stamped on a nameplate located in the frame at the front right, near the steering head. The motorcycles, manufactured in Japan, were sold at authorized Honda Powersports dealers nationwide from September 2014, through August 2017, for about $8,700. Consumers should immediately stop using the recalled motorcycles and contact an authorized Honda Powersports dealer to schedule a free inspection and free repair. Honda is contacting all known purchasers directly. Consumer may contact American Honda toll-free at 866-784-1870 from 8:30 a.m. to 4:30 p.m. (PT) Monday through Friday or online at http://powersports.honda.com/ and click on Recall Information at the bottom of the page for more information.